LG unveils new phones with the LG K Series smartphones that are equipped with LTE connectivity and the latest Android mobile OS for just less than PHP 10k. MANILA - LG Electronics the global leader in technologies unveils the K Series, a new line of smart phone to be added to their eve growing portfolio, this new line of smartphone line gives users the experience found in premium devices while maintaining affordability. Introducing the LG K4 LTE, An entry-level device with best-in-class practicality, this smartphone sports a 4.5-inch display, 8GB memory and LTE connectivity. The K4 LTE incorporates a sleek design that flows naturally into the bezel for a comfortable and secure grip. The LG K4 LTE offers LG’s popular camera features such as Gesture Shot and Flash for Selfie inherited from its G Series, making it a standout among competitors. The K10 LTE, on the other hand, sports a 5.3-inch HD In-Cell Touch display and is one of the first to run on Android 6.0 Marshmallow OS. It is also the first to offer LG’s glossy pebble design—a curved, modern finish complemented by the new 2.5D Arc Glass which seamlessly extends to the device’s button-free sides. 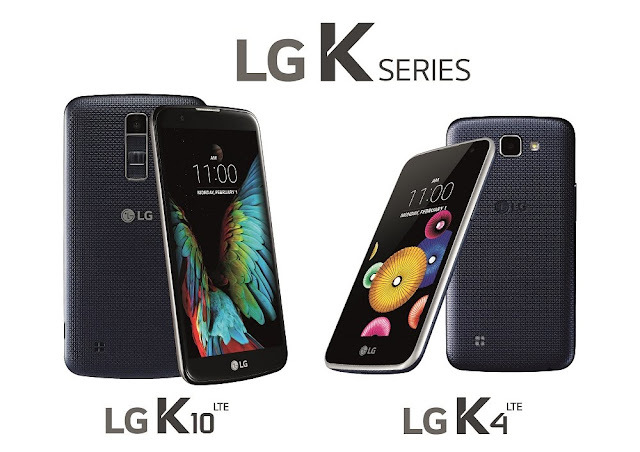 Taking a cue from the G Series’ signature design, the K10 LTE comes equipped with the iconic rear control deck below the main camera. 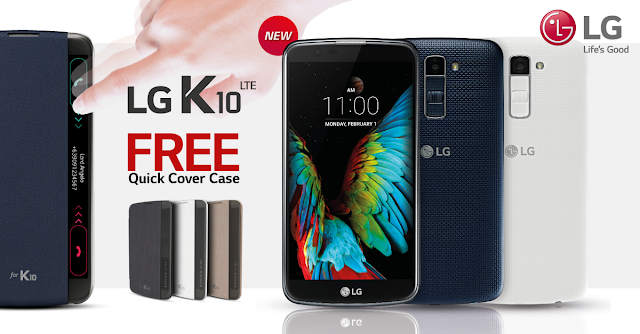 With this sleek and contemporary exterior, the K10 LTE offers a high-end look and feel for a friendly budget. A special add-on feature to the K10 LTE is the Quick Cover flip case which gives users a view of the entire strip along the right side of the display, instead of a small window found in previous QuickWindow cases. The visible strip is protected by a transparent extension from the main case and displays relevant information like time, date and events. Users can even answer calls without the need to flip the cover open. For consumers with active lifestyles, the K10 LTE is designed with multimedia creating and consumption in mind with its roomy display and advanced camera functions for this category—13MP rear and 5 MP front. Its front camera highlights the same Gesture Shot and Flash for Selfie also found in the K4 LTE. The LG K10 LTE can be your for only P8,990 while you can grab the LG K4 LTE for only P5,490. See the official K10 video here: http://bit.ly/1L6SoXj . For more information, visit lg.com/ph, like LG Mobile Philippines’ Facebook page or follow @LGPhilippines on Twitter and Instagram. For more details about LGs new K Series visit www.lg.com/ph; like LG Philippines’ Facebook page; or follow @LGPhilippines on Twitter and Instagram.